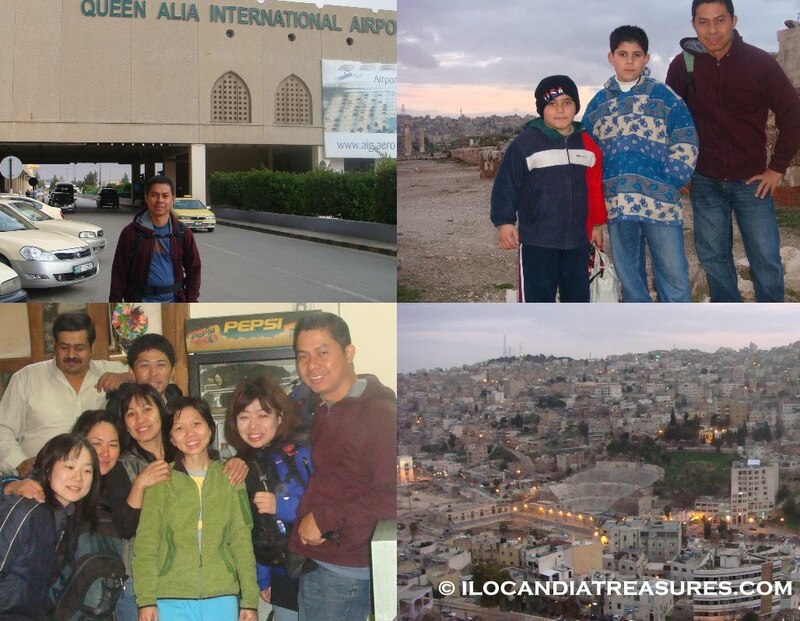 I had a mixed feeling when we landed at the Queen Alia International Airport. I don’t know what to expect since I am not familiar with the place and that I don’t know of anybody there. I just went for an adventure trip, an exploration of Jordan. At the immigration counter they checked the visa which I secured from the Jordan Consulate in Manila. One can also procure the visa upon arrival. Outside the airport I tried to find the bus to downtown and asked some people. I was able to talk to a local with the name of Manty. He was on the same flight with me who came from the US. I asked him of the bus and of the fare. He was about to board the same bus when his brother arrived and picked him up. He offered me a lift to the third circle where I alighted there and took a taxi. Wow I can’t imagine that someone offered me a free ride. We talked while on the car. From the window I was amazed to see the arid hills and mountains. It was about an hour drive. I looked for the hostel which I reserved in the internet. It was just easy to find with its signboard. There were many foreign guests I met. After checking in I went around and visited the Roman temple of Hercules in ancient Philadelphia and the Amman Citadel. I was even accompanied by two local young children from whom I asked of the place from the map that I held. Majority of the people are warm that they even try to help you. Most people can understand English. It was there at dusk time where you can hear the Islamic prayer echoing around from the Citadel Hill. Birds were flying around and it was breezy. The country has the official name of the Hashemite Kingdom of Jordan. It is a constitutional hereditary monarchy which is currently ruled by King Abdulah II. It has an area of 35, 344 sq. mi. with a population of around 6.3 million. This Middle East kingdom is bordered by countries such as as Saudi Arabia in the south, Israel in the west, Iraq in the east, and Syria in the north. 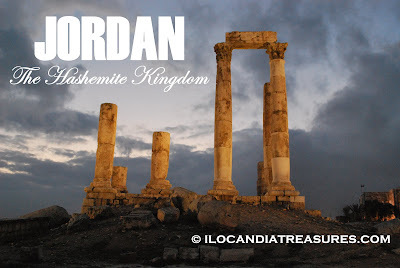 Jordan has seen several civilizations that include the eastern ones Caanites and Semitic, Persian, Babylonian, Assyrian and others. The early roots of independent Jordan can be traced to the Kingdom of Petra which is founded by the Nabateans, an anciet Semitic people from Arabia. It also gained independence from the British League of Nations in May 1946. From Dubai, I went back to Abu Dhabi and stayed there for another night. I flew in to Amman taking Al Jazeera airways. It was a connecting flight so I have to transit to Kuwait for a short while. I was happy to touch down in Kuwait and see its view from the air. I had a conversation with the cabin crew particularly the Filipina who was amazed to see a Filipino passenger in their airline. She was so accommodating. When we landed I went straight to the duty free and checked the Kuwait goods but I just bought some Kuwait dinar to take as souvenir. 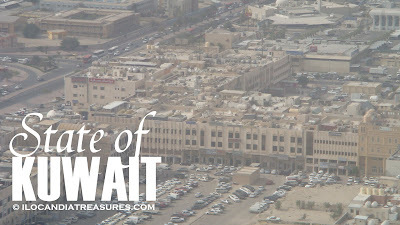 State of Kuwait is a sovereign Arab country. Its name was taken from the Arabic term “akwat,” the plural of “kout” which means fortress built near the waters. The emirate has an area of 20, 000 square kilometers with a population of 3.4 million. The Ilocandia Photographic Society (TIPS) is holding a photo exhibit entitled Libnos: The Vigan Glamour Photo Exhibit at the Vigan Culture and Trade Center in Vigan City, Ilocos Sur. The title Libnos is an Ilocano term that refers to beauty, allure and glamour of a lady. This will run from May 1-5, 2010. This is a collection of photos taken by the members on a three photo shoot sessions in Vigan. The first two sessions were held at Arce Mansion and Heritage Village. The last session was at the Cathedral, Pagburnayan, and River Cruise. This exhibit features models from Tropica Ilocandia and other invited models and the colonial fashion collection of Lito Perez of Camp Suki in the backdrop of the different wonderful tourist attractions in the Heritage City of Vigan.